Their introduction to Ireland by the British Government was a direct response, yet counterproductive solution to the ever growing movement that sought to establish Irish independence. New seeds of rebellion had been sown long before, soon after the failure of the potato crop, the subsequent famine years of 1845-1852, and Britain’s blatant indifference to the plight of the starving nation it wrought dominion over. When the long fought issue of Home Rule for Ireland was put on hold after the outbreak of the First World War, Irish republicans seized what they considered to be a golden opportunity to strike the enemy, whilst the bulk of the British Army were embroiled in the mud and carnage of the Western Front. The Irish Volunteers, led by Pádraig Pearse, and bolstered by the Irish Citizens Army, under the command of James Connolly, launched the Easter Rising in Dublin, on 24th of April 1916. It was Easter Monday. Thousands of miles away on the same day a very different battle had commenced, as a group of long forgotten men dragged the James Caird lifeboat down a stony, perished beach, on a rocky outcrop named Elephant Island, and launched it into the ferocious Weddell Sea. It was crewed by six brave but weary souls, who’s mission it was, to cross 800 miles of treacherous ocean, to raise rescue for the men of the Endurance Expedition. That story of survival had of course begun long before the James Caird, departed Elephant Island. The Imperial trans-Antarctic Expedition had left Plymouth on August 8th 1914, and its goal was to cross the entire Antarctic continent by foot, via the South Pole. But in February 1915 the ship Endurance had been ensnared and held firm in the ice of the Weddell Sea, and was abandoned completely in October of that year as the pressure of the ice pulverized, and eventually sank the vessel. 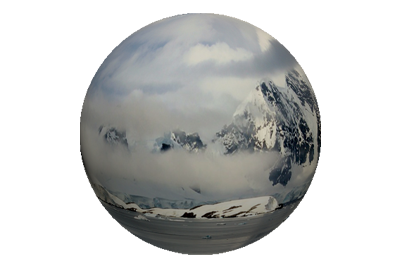 From that point onward the men eked out an existence, living on the drifting ice floes, for months, before they too began to break up beneath their feet. Abandonment was again their only option, and the ship’s three lifeboats were their only means of escape. 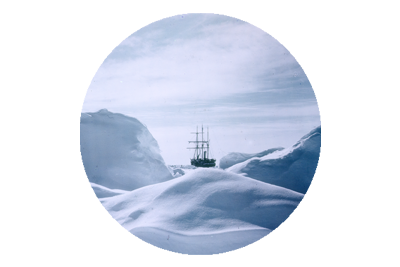 They set sail, on April 9th, and whilst Elephant Island was not their initial destination, a combination of strong currents, the ever deteriorating condition of the men, and the probable chance of its attainability, soon saw them set course there. After a gruesome seven day voyage they reached the island, but despite it’s initial salvation they were stranded there, with no hope of rescue. 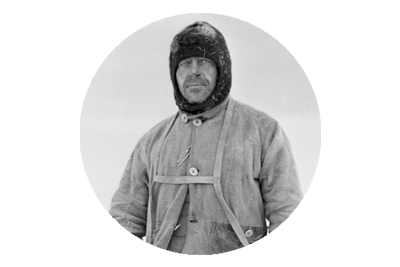 Ernest Shackleton then decided to strike for South Georgia, and he selected Tom Crean, Frank Worsley, Timothy McCarthy, John Vincent and Harry McNish as his crew. By April 29th the James Caird was five days out, somewhere in the convulsive Weddell Sea, and in Ireland the Rising, which had lacked in both preparedness and popular support, had been firmly crushed by a vastly superior British army, and an unconditional surrender was offered by Pearse. The Rising had not just taken the British authorities by surprise, but also the general population, whom it claimed to represent. Initially most civilians regarded the actions of the rebels with a mixture of bewilderment and resentment. After large swathes of the city of Dublin had been destroyed in the fighting, the mood towards the insurgents was openly hostile. It was only after the British authorities decided to execute the signatories of the Proclamation that public opinion swung, and the republican movement was quick to harness both the wave of revulsion that swept across the country after the killings, and the Rising’s ideal of a fully independent state. The James Caird miraculously reached South Georgia on May 10th 1916, but the journey was far from over for the shattered men. Shackleton, Crean and Worsley were now faced with the immense task of crossing the uncharted interior of the island to reach the manned whaling station at Stromness. After a period of recuperation the three men climbed, crawled, stumbled, fell, frozen, starving and unequipped through the icy peaks and lethal glaciers of a desolate place no man had ever tread before. They somehow conspired to survive, and staggered into Stromness on May 20th 1916 in utterly desperate condition. It would take months and many failed rescue efforts but eventually the men managed to sail through the ice fields that encapsulated Elephant Island and reach the tiny desolate beach their companions were stranded upon. Within an hour of first sighting their rescue vessel on 30th August 1916, all of the castaways were aboard the Yelcho, and their liberation was complete. All 28 members of the expedition had survived the ordeal. Men who had hailed from many different countries, men whose plight knew no borders or creed, men whose sole goal became one of survival, for not just themselves, but for each and every one of their comrades, united against their common enemies of ice and isolation. And they persisted in surviving in the face of the litany of numerous debilitating hardships that continuously manifested themselves against them. They would return home to a world that had changed terribly in their absence, and their remarkable tale of comradeship, survival and triumph paled to near insignificance when measured against the callous disregard for life being dispensed in the blood washed fields of Europe. And for many of the Endurance crew, they would arrive back in time to be thrust into the conflict, where tragically Timothy McCarthy and Alfred Cheetham, who had persevered so gallantly on the expedition, would both lose their lives. McCarthy from Kinsale, who had been one of the six aboard the Caird during it’s epic voyage died on 16th of March 1917, when the ship he was manning a deck gun on – the S.S. Narragansett, was torpedoed by a German U-Boat, sinking with the loss of all hands. Cheetham would tragically suffer a very similar fate, and die when the S.S. Prunelle, the ship the Liverpudlian was serving on was also torpedoed by a German U-Boat. Prior to this, on returning from the Endurance Expedition, Alfred Cheetham who was a father of 13, had to suffer the harrowing news that his 16 year old son, had been lost at sea whilst serving on the S.S. Adriatic. The 1918 Irish General Election which was part of the United Kingdom General Election, saw the republican Sinn Féin party claim a landslide victory, and unlike the more moderate Irish Parliamentary Party who sought home rule, the elected members of Sinn Féin refused to take up their seats in the Imperial Parliament in London. Instead on 21 January 1919, they declared independence and established their own parliament in Dublin – The Dáil, and declared the Irish Republican Army, as the official army of the state. The Irish War of Independence (1919 – 1921) had begun, and the British army and the R.I.C. would bear the brunt of the republican’s attacks. Being the more vulnerable of the two, it was decided to recruit a reserve force of temporary constables for the R.I.C. and the initial mismatched uniform colours of the recruits, led to them being dubbed the ‘Black and Tans’. 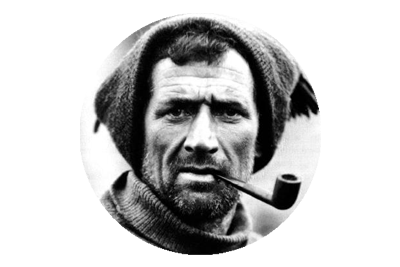 Tom Crean himself was now married and living in Annascaul, Co. Kerry having left his exploration and British Navy days behind him, retiring on March 24th 1920 and returning to a country where either side in the war could deem him an enemy. His past in the British Navy would not endear him to the republican movement, despite the enormity of his feats on three major Antarctic Expeditions. Though it is safe to assume that very few people in Kerry would have known of his exploits, as Crean was both a modest man, and astute enough not to divulge stories of his service in such fractious times. 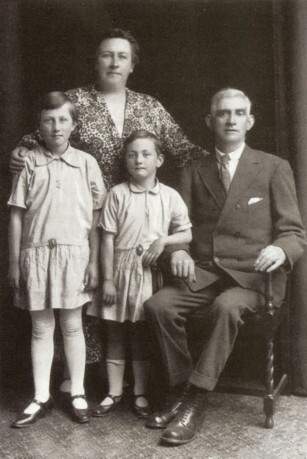 And being an Irish citizen, living in an Irish village, in a county with many active Volunteer brigades, meant that Crean and his family, like all the population, were very vulnerable to the reprisals of the Black & Tans. A little over a month after Tom’s retirement, his brother, Cornelius Crean who was an R.I.C. sergeant, was killed, along with one of his colleagues, in an I.R.A. ambush at Upton Industrial School in Ballinspittal, Co. Cork. It must have been a devastating blow to lose his brother in such desperate circumstances. Crean’s home county of Kerry would see much bloodshed during the conflict, and incidents such as the Siege of Tralee, and the Burning of Abbeydorney left tensions running extremely high on both sides. Tom Crean’s brush with the Black & Tans probably occurred shortly before these incidents. What is known is that his wife Nell (Ellen) attended a commemoration for Thomas Ashe, who had died as a result of being force fed whilst on hunger strike in Dublin’s Mountjoy Prison, on 25th September 1917. When Tom Crean had enlisted in the Navy as a young boy in 1893, eager to escape poverty and seek adventure, like so many young Irishmen of the day, he was joined in enrolment that day by a relative of Thomas Ashe. Ashe who was born in Lispole, Co. Kerry, had played a major role in the 1916 Rising, and had afterwards been imprisoned in England, before being released in an amnesty, and later arrested for sedition for a speech he made in Co. Longford. It was during this incarceration that he died. Assuming the commemoration that Nell attended was marking Ashe’s death, it probably took place on, or around September 25th, and it is not clear whether her participation was based on political beliefs or whether she merely attended because of an association with the Ashe family. What is more certain is that when her presence at the event came to the attention of the Black and Tans, they decided to pay the Crean household a visit. In typical fashion they charged inside the building, and began ransacking the home, in search of anything that could link either Tom or Nell to the republican volunteers and their activities. At some stage during the search Crean’s Navy paraphernalia was unearthed and it seems the raiders quickly desisted and departed after this discovery. In his excellent book An Unsung Hero, Polar author, Michael Smith sheds more light on the incident. He recounts how Nell who was heavily pregnant with the Creans second child at the time of the raid, always maintained that the rough treatment she received at the hands of the Black and Tans that day contributed to the fact that Kate was always a sickly child, and subsequently died at the age of four, despite every effort to remedy her health, including a trip of faithful pilgrimage, to Lourdes in France. For a man like Tom Crean who had always endeavoured, overcome and triumphed, even in the most impossible of circumstances, to selflessly help save the lives of so many of his comrades, in the harshest and most volatile place on Earth, it must have been disturbingly exasperating for him to be rendered helpless in his plight to save his own little girl. It would appear however that Crean had not left his life saving skills behind him. A young local man, who the Black and Tans were about to arrest and or execute, for supposed involvement in an Republican ambush, would be the beneficiary. Crean upon learning of the incident, intervened and told the forces that he had witnessed the man working in a nearby field at the time the ambush had taken place, and it seems that both he and his testimony were respected enough to secure the captives release. It may not have been Antarctica, but in the cold and bitter political climate of 1920’s Ireland, Tom Crean had saved another soul. He himself would of course outlive the War of Independence, and the subsequent Irish Civil War, and lived out the remainder of his days, relatively undisturbed in the comfort of his pub, The South Pole Inn, which he happily maintained with his beloved wife, Nell. Tom Crean was, indeed, a true unsung hero! My wife, son and I were delighted to have the opportunity to visit “The South Pole Inn” in Annascaul in 2014. I feel greatly indebted to Michael Smith for writing his two books on Tom Crean, “An Unsung Hero” and “Tom Crean: An Illustrated Life”. I’m also grateful to Cliff Wedgbury for writing and performing the CD “The Antarctic Ballads” with it’s lead number, “The Ballad of Tom Crean.” To these two Englishmen the world owes a great debt. I hope that this brief note will motivate readers to learn more about the life and times of this remarkable, admirable man: Tom Crean.